I have done a sweep on all of my Astronomy Gear and I have decided that certain items need a new home, as they are simply not getting any use at the moment. This Meade ETX125 Scope has pristine optics and been upgraded with Wegat Optical Visual Back which is a HUGE improvement over the original plastic setup. The OTA is Fully Flocked, Baffle Tube Re-greased and comes with Original Metal Threaded Lens Cap, ScopeStuff Tube Rings and Felt, a Quality ADM Vixen dovetail Bar, an Astrozap Dewshield and a StarSharp Bahatinov Focusing Mask. All in all a very nice Specimen that will give wonderful Lunar and planetary views and also is excellent for planetary imaging. I'll be sad to see this one go, but I also have a Meade 7" LX Maksutov so I cant justify keeping it. 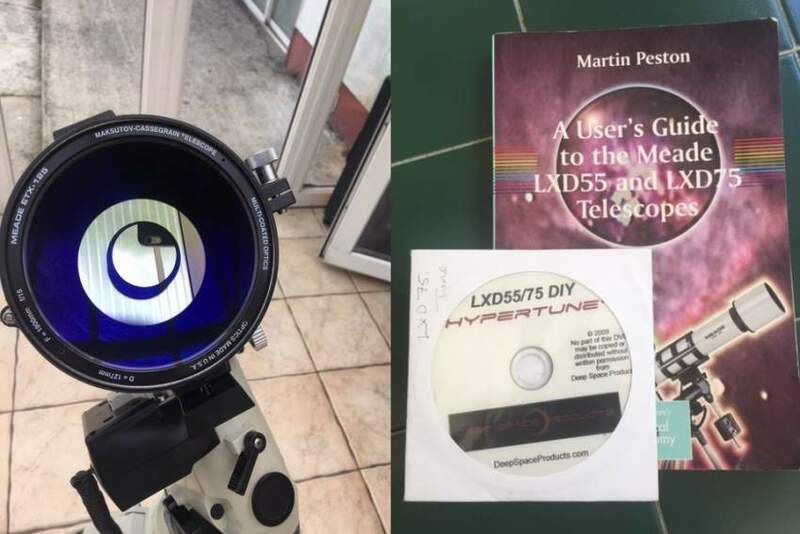 Note: the LXD75 mount and the Handbook/tuning DVD have been sold. This is the Older Blue Tube Version and it is still a very nice 5" Achromat for Lunar Planetary and Deep Sky Observing. 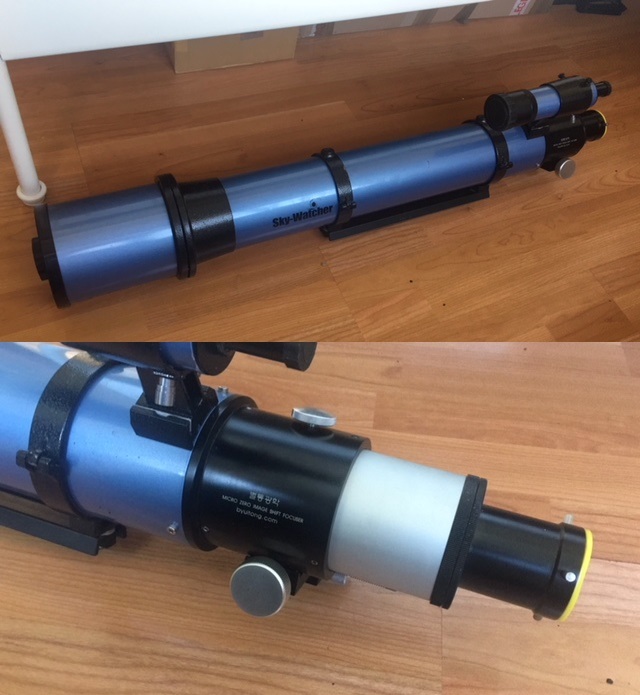 The Optics are in excellent condition and the lens cell can be collimated with Push/Pull Screws.This scope has also been upgraded with a 3" Zero Image Shift Rack and Pinion Focuser from Byultong Optics in Korea. this is a Really Nice Focuser and would also work as an excellent upgrade for higher end scopes. I don't have the original focuser for the Skywatcher so that's why I'm selling as is. Hi,sorry for taking up your time,but I was considering flocking my etx125, but it seems to be rarely done. I'm wondering if it's worth the effort of dissembling the scope to do it, are the contrast gains high enough to reveal extra planetary detail on this scope?